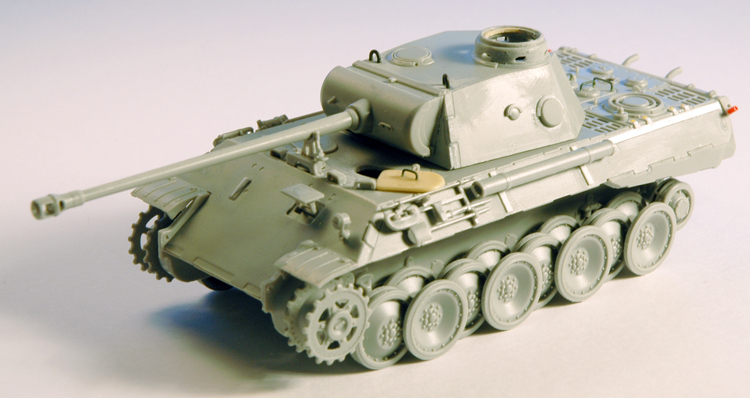 After all these softskins lately I felt I needed something else for a change so I started an OOTB build (well, sort of) of the new Dragon Panther Ausf D.
Overall I think it's a really good kit. 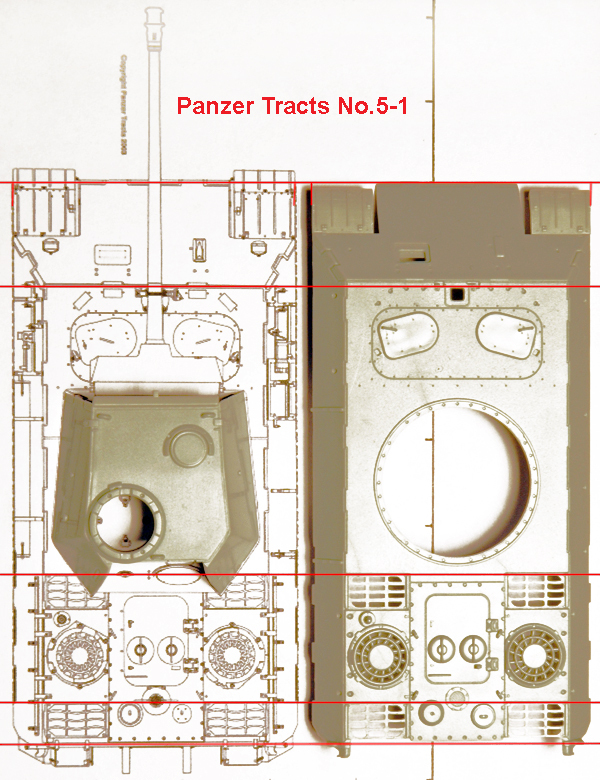 Compared to the drawings in Panzer Tracts 5-1 it seems to be more or less dimensionally correct. The glacis plate is just a little bit too short but that is not very noticable on the finished model. The turret shape and position is ok as are the dimensions of the engine deck. 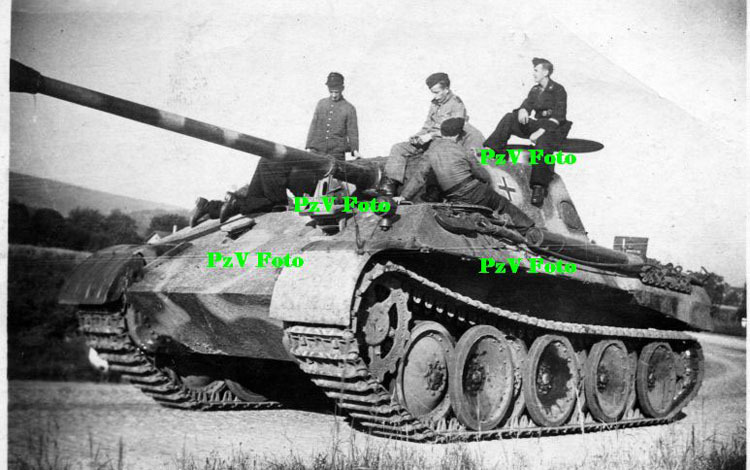 According to Panzer Tracts, the only difference between an Ausf.D and an Ausf.A was the way the turret was assembled. Changes were subtle, but one visible feature is that the Ausf.D had dovetailed side armor plates on the top side of the turret while they were square cut on the Ausf. A. The kit has square cut sides, so it is technically incorrect on that point. Other changes were implemented incrementally after the change of Ausf. letter. I found a few minor issues with the kit though. It seems that it's a mix of early, mid and late Ausf D features. 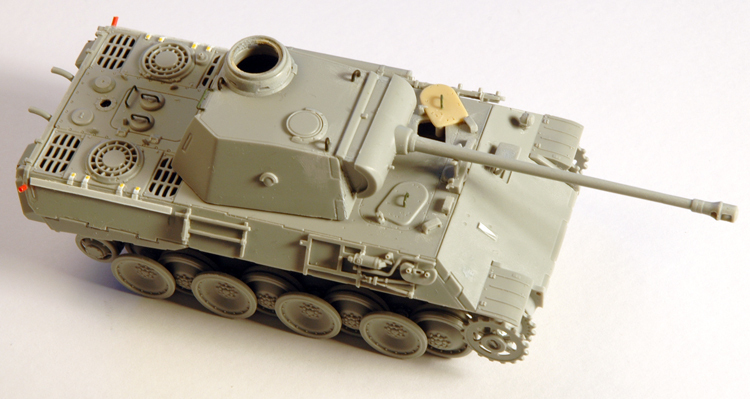 The roadwheels are early 16 bolt ones, the gun cleaning rod tube is of the early type, there are two Bosch headlights on the glacis and the smoke grenade dischargers are present in the kit. These are all early features. However there are also mid production rain guards over the pistol ports and the rear escape hatch on the turret. The rain guard is oddly missing from the communication hatch though and it's rather difficult to add. I used narrow plastic strips on mine. The handles on the driver's and radio operator's hatches are placed in the outer corners of the hatches. That's a late feature, as is the rain guard over the gunner's sight on the mantlet. The tracks are also of the later type equipped with ice cleats. It's of course possible to shave off all the rain guards to backdate the kit to an early version. The ice cleats on the tracks can also be shaved off with a little effort as the tracks are DS. There are also a few other details that need rebuilding. 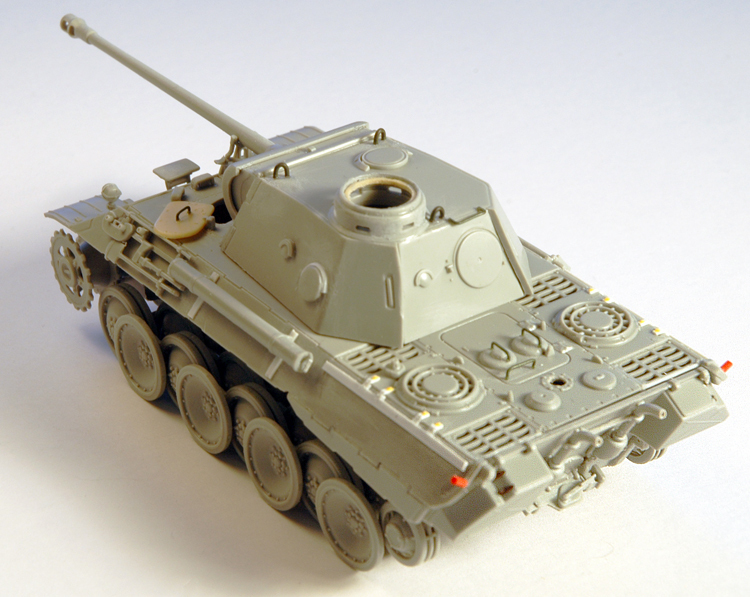 The shot deflector on the front hull MG cover is easily added with a small bit of plastic. A ring on the inside of the commander's cupola needs to be added, the tow cable pegs on the rear hull corners need to be reshaped. And all the handles and lifting lugs need to be replaced with wire. Engine deck screens also have to be added from elsewhere as no PE is present in the kit. I also opened up the driver's hatch which was easy enough to do as nowadays the Dragon kits have plastic hulls. I used a Revell hatch from my spare parts box. I replaced the spare track holders as i wanted to show them with tracks attached, The kit parts are otherwise good enough, Being plastic they don't have the crisp detail of PE but they look ok to me. The fuel filler cap looks a bit strange and I haven't found any pics showing that particular type, so Ithink I have to replace that one too. The road wheels are of the current Dragon type, joined together with loops. I'm not sure if this will be visible when the tracks are attached. The idler is also somewhat overengineered being a three part affair with separate outer rim. Fiddly to say the least, and for no use whatsoever. Other than that I feel that this is a really good kit. There are both early and late jacks in the kit and the driver's visor can be built open as the hinges are also present in the kit (part A7). Oddly enough this isn't mentioned in the instructions at all. As I'm mostly interested in late war vehicles I've decided to use this pic that I found on the Axis DG as inspiration for the build. Apparently it shows a Panther D from the 106th Panzer Brigade Feldherrnhalle in 1944. It's got a late war three colour camouflage scheme that i found irreststible. I'm sure I've missed or misinterpreted something so please feel free to set me straight. Here are some more pics of the build as it stands right now.